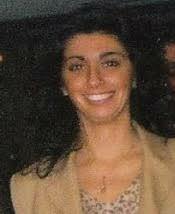 Federica Basaglia studied Philosophy at the University of Ferrara (Italy) and at the University of Marburg (Germany). She received her M.A. (October 2001) and Ph.D. (April 2009) in Philosophy from the University of Ferrara (Italy). Since April 2010, she has a teaching and research position at the Philosophy Department at the University of Konstanz (Germany). In May 2015 she was awarded a two-year fellowship from the Brigitte-Schlieben-Lange-Programm für Nachwuchswissenschaftlerinnen mit Kind to carry out a research project on animal ethics. Since the 2015/2016 academic year she also teaches Moral Philosophy at the University of Ferrara (as “professoressa a contratto”). Her areas of expertise are: Philosophy of Enlightenment, especially Kant and his Practical Philosophy; Marxist Philosophy, especially György Lukács; Normative Ethics and Applied Ethics, especially Bioethics and Animal Ethics; Metaethics. 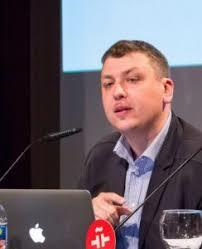 Marco Bellia is a Contract Professor of Intellectual Property and Competition Law at the University of Verona and Post-doc Researcher in Business Law at the Catholic University of the Sacred Heart of Milan and. After his graduation in Law at the Catholic University of Milan, in 2012 he was admitted to the bar of Milan and in 2015 he received his PhD in Law and Economics from Luiss University of Rome. As a PhD candidate, he was Visiting Researcher at Columbia University of New York (2013) and Scholarship Holder at the Max Planck Institute for Innovation and Competition in Munich (2014). In addition to slightly technical topics in the field of business law, his research interests embrace Legal Theory, Law and Economics, and Moral Philosophy. Besides his publications in Italian and European law journals, for instance he is author of an inspiring interview with United States Circuit Judge Guido Calabresi (Yale Professor Emeritus of Law) concerning the role of philosophy for judges – published in Philosophical News(No. 6, 2013). 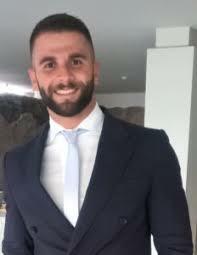 Marco Damonte has obtained a Bachelor’s degree in Theology at the Facoltà di Teologia dell’Italia Settentrionale (2002) and a PhD in Philosophy at Università degli Studi di Genova (2008). Currently, he does research work in History of Philosophy at Università degli Studi di Genova where he teach Tendencies of Contemporary Thought. He has authored three essays and about fifty papers published in journals or in collections of essays that concern contemporary thinking. He especially researches in epistemology, particularly addressing the problem of intentionality (Wittgenstein, Tommaso e la cura dell’intenzionalità, MEF, Firenze 2009; From Justification to Warrant, towards Virtue Epistemology, «Epistemologia», 34 (2011), pp. 5-28) as well as analytic philosophy of religion, conducting inquiries into its epistemological aspects (Una nuova teologia naturale. La proposta degli epistemologi riformati e dei tomisti wittgensteiniani, Carocci, Roma 2011). He has investigated the public role of religion (M. Damonte, Confrontation Between Civilization, Religions and Professions of Faith, «Études Maritainiennes / Maritain Studies», 25 (2009), pp. 46-57) and the philosophy of prayer (Homo organs. Antropologia della preghiera, Fondazione Centro Studi Campostrini, Verona 2014). The results of his research have been discussed at various international conventions, above all Europe-wide, thanks to The European Society for Philosophy of Religion’s biennial conventions. He has recently proposed a new approach to natural theology (Towards a New Natural Theology: Between Reformed Epistemology and Wittgensteinian Thomism, in S.T. Kołodziejczyk, J. Salamon (eds. ), Knowledge, Action, Pluralism, Peter Lang, Frankfurt am Main 2013, pp. 113-134); for this reason, he was also called upon to study the Mediaeval sources of analytic philosophy of religion. 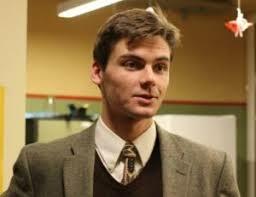 Brian Lapsa is a student of ancient and medieval philosophy at the Katholieke Universiteit Leuven (Belgium). Editor of The Clarion Review and Classics Editor at Politics & Poetics, past studies have taken him to the University of Virginia (USA), the Humboldt-Universität zu Berlin (Germany), and the Institut catholique de Paris (France). More recently he has taught Platonic dialogues for the Department of Legal Philosophy at the University of Leiden Law School (The Netherlands). His translations include Rémi Brague’s Les ancres dans le ciel (forthcoming, St. Augustine’s Press). Christopher Owens is an adjunct member of the Theology Faculty at St. John’s University, where he teaches for their Rome campus. He is also director of the St. Albert the Great Center for Scholastic Studies, which for five years has hosted an annual summer theology program in Norcia, Italy. Christopher is enrolled at the Pontifical University of St. Thomas Aquinas (“the Angelicum”), where he will soon complete his Licentiate in Sacred Theology (S.T.L.) with a concentration in Thomistic Studies. His thesis investigates the question of predestination in the early Thomist school. During the 2015/2016 academic year, Christopher had the opportunity to take a postgraduate diploma in Medieval Studies offered through the International Federation for Medieval Studies (FIDEM). Christopher completed his Masters in Sacred Theology (S.T.M., Mag. Theol.) at the International Theological Institute in Trumau, Austria, where his thesis was on the question of the liturgy as a theological source in the Church Fathers and St. Thomas Aquinas. Originally from North Carolina, Christopher has previously worked at the Maryvale Higher Institute for Religious Sciences in Birmingham, England and also in various capacities of pastoral ministry. Christopher’s research interests in both philosophy and theology are focused around the conjunction of metaphysics and religion as found principally in the Thomistic tradition, as well as more generally in the medieval dialectic of the University of Paris. He has a critical edition of several previously unpublished articles by Henry of Ghent on the subject of Human Freedom forthcoming. 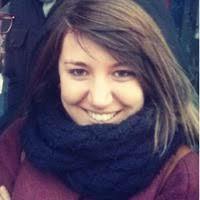 Anna Piazza, graduated at State University of Milan, focuses her research on medieval philosophy and phenomenology. After spending one year in Cologne she moved to Erfurt, where she is currently completing her Ph.D. in Philosophy at Max Weber Center for cultural studies with a thesis on Scheler’s phenomenology of religion. Her interests are in phenomenology, philosophy of religion, as well as ontology and ethics. Among her publications there is the translation and editing of “Max Scheler, sfera Assoluta e posizione reale dell’idea di Dio – La morte nel contesto di vita morale” (Milan, 2015), and the essays “Der Wahrheitsbegriff bei Husserl und Edith Stein” (in print, Herder) and “The Concept of Life in Ludwig Binswanger’s Phenomenological Psychopathology” (in print, Springer). 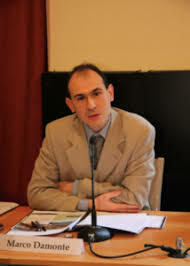 Alessio Ruggiero, he is Ph.D. student in Philosophy at the University of Salerno with a thesis on Max Scheler. His field of research are theoretical philosophy, moral philosophy, early phenomenology and philosophy of religion, with particular attention to the thought of Edmund Husserl, Dietrich von Hildebrand, Edith Stein, Martin Heidegger, Friedrich Wilhelm Joseph Schelling, Immanuel Kant, Rudolf Otto, Jean-Luc Marion and Peter Sloterdijk. He is also focusing on philosophical theology (especially around the philosophical and theological contribution of Austin Farrer right now), personalistic ethics and theism, philosophy of emotions and ontology of relation, with an emphasis on the notions of person, sacrifice, care, sympathy, love and evil. Ruggiero is a member of the Editorial Board of «Giornale di Filosofia della Religione» since 2015 and of Max-Scheler-Gesellschaft. He collaborates with the FormaMentis research center, based at the University of Verona, directed by Professor Guido Cusinato, which aims are the study of phenomenology of care relationships, formation process (Paideia, Bildung and Um-Bildung) through different disciplines and cultures, and philosophy conceived as transformative exercise of the person. He participated to the XXI Conference of the European Society for Philosophy of Religion (ESPR), Uppsala University, August 2016, with the talk “Involved God. Thinking of Evil beyond the Idea of Fall?”. Stefano Santasilia is adjunct professor of Theoretical Philosophy at the University of Calabria (Italy), professor of Contemporary Philosophy at the Theological seminar of Agrigento and Visiting Professor at the Instituto de Investigations Filológicas – Seminario de Hermenéutica of the Universidad Nacional Autónoma de México; he also collaborates with Campostrini Foundation in Verona. He spent periods study at the University of Madrid (Universidad Autónoma de Madrid, CSIC), Ciudad de México (UAM, ITESM), Puebla (BUAP – México) and Morelia (UMSNH – México). 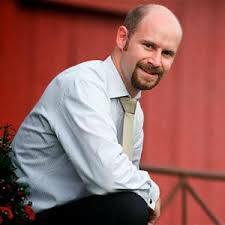 He is member of many international projects and editorial boards. His studies focus on philosophical anthropology and philosophy of religion both read from a phenomenological point of view. His most important publications are Tra metafisica e storia. L’idea dell’uomo in Eduardo Nicol (Firenze, 2010), Simbolo e corpo. A partire da Eduardo Nicol(Napoli, 2013). At this time, his interest have turned to the study of Philosophical Christology and Political Theology. Emanuela Tangari is currently completing a Ph.D. in Philosophy at the University of Rome Tor Vergata with a thesis on Louis Lavelle. Her studies focus on philosophical anthropology and her interests are in metaphysics, ethics, philosophy of religion; she studied in particular María Zambrano and Romano Guardini (“Sul limite della vita. La filosofia polare di Romano Guardini” [On the limit of life. The polar philosophy of Romano Guardini], «Dialegesthai», 2014). She published the essay “Un’etica della ‘visione’. Romano Guardini e l’unità oppositiva” [An ethic of ‘vision’. Romano Guardini and the oppositive unity] for Morcelliana Publisher and a study on the topic of Ecology for «La Società». 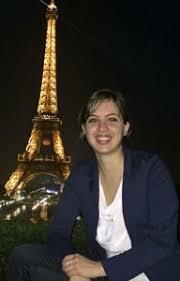 She has spent a period of research at Collège de France and she will collaborate at the Institut Catholique de Toulouse, France, as responsible of the Équipe de recherché “Métaphysique: histoire, concepts et actuality”. 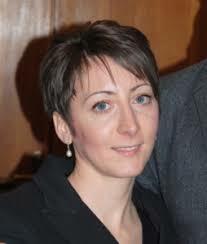 Stefania Zanardi is currently post-doctoral fellow in History of Philosophy at the University of Genoa, where she collaborates with the chair of History of Philosophy, General Pedagogy, Psychopedagogy. She conducted her doctoral research under the supervision of professor Luciano Malusa. She obtained a PhD in Philosophy in this university (2012) defending a Ph.D. thesis on “Humanism and humanisms in the historiography of Eugenio Garin”. During her Ph.D., she studied archival material stored in the Library and Archives Center of the SNS of Pisa, in the David M. Rubenstein Rare Book & Manuscript Library – Duke University of Durham (North Carolina – USA) and in the Archival Collections – Rare Book & Manuscript Library – Columbia University of New York (USA). She has been enrolled in more PRIN (Italian Project of National Interest) with University of Genoa and in two Research Projects co-financed by the Foundation CARITRO. Since 2010 she is member of the Scientific Committee for the National and Critical edition of Antonio Rosmini’s letters. Since 2012 she participates as a scholarship holder at the Rosminian Symposium organized by the International Center of Rosminian Studies; since 2014 she participates at the Philosophical Cenacles organized by the Rosmini Institute – Philosophical Research Center. She also organized and organizes International and National Conferences, Seminars. She is member of Italian Philosophical Society (SFI), Board of Directors of Ligurian Philosophical Association, of Aretai – Center on Virtues at the University of Genoa. She has high knowledge of Latin. She speaks Italian (mother tongue), English, Spanish. For the complete list of publications see here.